Get Your FREE Budget Workbook! Our goal is to give you actionable tools, tips and advice to help you on your road to debt freedom. I agree to sign up to receive the quarterly Debt Free in 30 Newsletter and receive my free ebook from Hoyes, Michalos & Associates Inc.
You can withdraw your consent at any time by using the unsubscribe button at the bottom of any Hoyes Michalos newsletter. 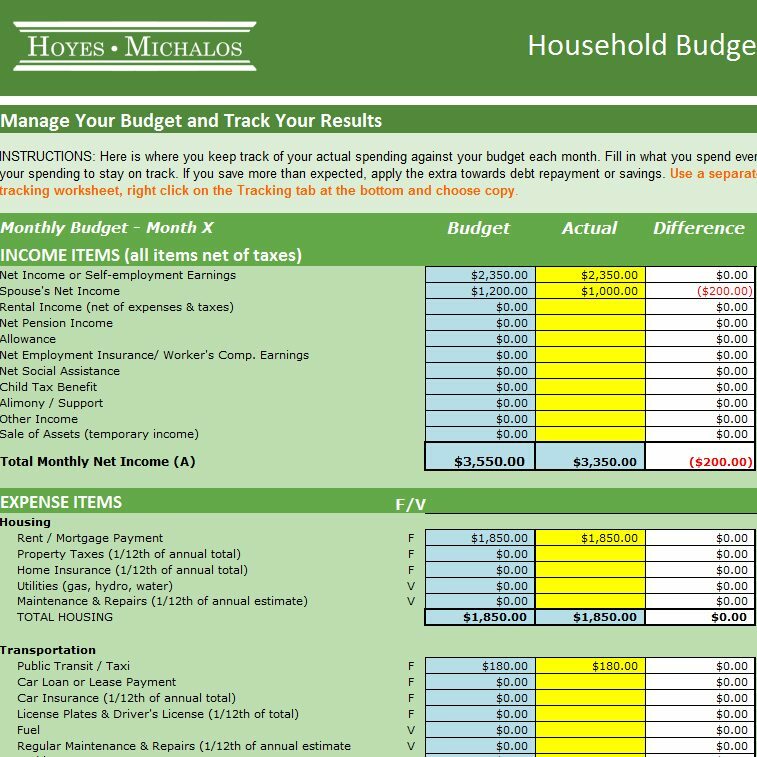 Yes, I want to continue to receive the Hoyes Michalos Newsletter and get my Free Budget Workbook. Get information about Canada’s Anti-Spam Legislation (CASL) and read our privacy statement here.